Hello PR! It's been forever since I came by or posted, so I thought I would get back to it with this image I submitted for the local competition from the recent WWPW. If you click on the image to make it larger, the fisherman are quite clear. Nice silhouette. Very moody in a way. Excellent capture of early morning fog. Color of the sky and the whole picture gives a sense of mystery. Colour of sky has really made it more attractive. What an atmospheric shot - I like this and the silhouette of the fisherman adds interest. 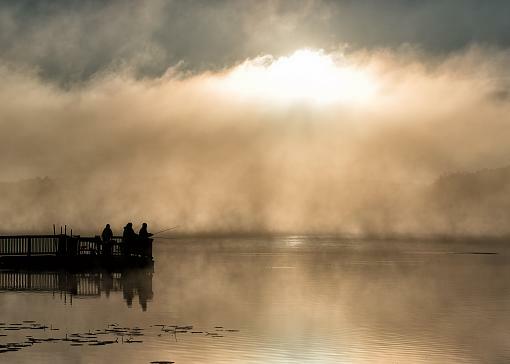 Have you considered toning down the blown out sky to make the focus on the fishermen rather than the sky?